It may not be easy to see spacecraft from Vauxhall, but many’s the astronaut that’s been spotted on the South Lambeth Road having a last drag on a cigarette before entering the British Interplanetary Society HQ at Numbers 27–29 on the corner with Langley Lane. 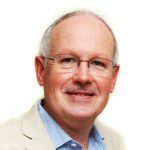 Indeed, writes space historian and Fellow of the Society Dr Ken MacTaggart, many an interstellar journey has its origins in the work of BIS members. An innocuous building on South Lambeth Road, Vauxhall, has seen an extraordinary array of world-famous figures from the field of human spaceflight come and go through its doors over the years – American and European astronauts, Russian cosmonauts, and genuine rocket scientists. Many of the space elite have been ardent smokers, and at the corner of Langley Lane they would stand singly or in small groups, anonymously puffing away. There might be a few pioneering Soviet cosmonauts, holders of world Space records who could boast multiple Order of Lenin and Hero of the Soviet Union medals. Or on other occasions, there would be an elderly American astronaut such as Al Worden, one of the only 24 human beings to have travelled to the Moon. It was on this Vauxhall street corner that I first met the Russian rocket scientist Oleg Sokolov, as he was struggling to light a cigarette in the breeze. A large, shambolic man in an ill-fitting grey suit, Oleg had a warm personality and a rich fund of anecdotes which would emerge over a beer, or several, around the corner in the Fentiman Arms in Fentiman Road. At the height of the Cold War Oleg worked upon the USSR’s top-secret Moon programme in a race with the Americans that culminated in the triumphant American Moon landing of Apollo 11 in 1969. Oleg also helped develop Soviet military satellites. 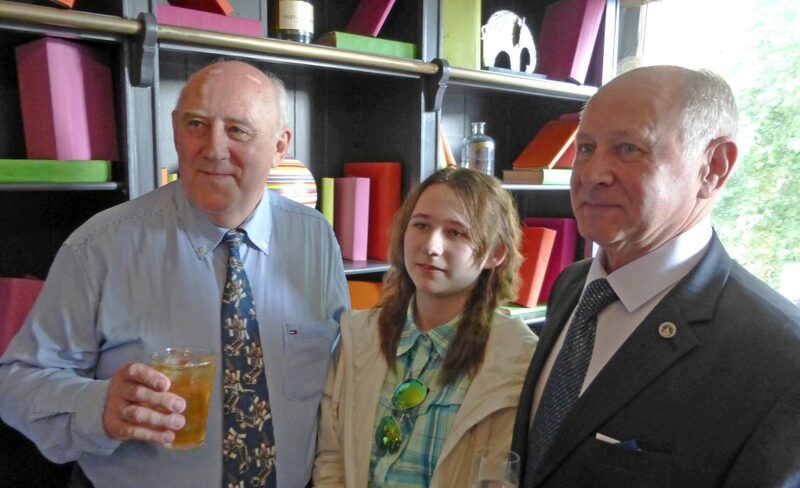 Oleg Sokolov and cosmonaut Anatoly Artsebarsky (right) with his daughter, at the Fentiman Arms in Vauxhall in June 2015. Oleg and other street-corner smokers would light up outside the yellow-brick building at number 29 that since 1979 has been home to the prestigious British Interplanetary Society. The three-storey BIS HQ was one of the few to survive a road-widening scheme near Vauxhall Station. Originally two separate premises, one was formerly the editorial office of a now-defunct newspaper Dalton’s Weekly, and the other a derelict 1830s townhouse. The present-day entrance is through a door in the former alley between the two buildings. After BIS landed here (from Pimlico) the destination soon became known to cab drivers as “the Space Centre”. The BIS building contains the Society’s offices, its unrivalled space library, lecture theatre, meeting rooms and production space for the Society’s publications, including its Journal and the monthly news-stand magazine SpaceFlight, whose first editor was the astronomer Sir Patrick Moore. The Council Room is adorned by the prescient paintings of space exploration and lunar scenes by British artist Ralph (R.A.) Smith dating from the 1940s and 50s, as well as a cabinet of traditional Lambethware. 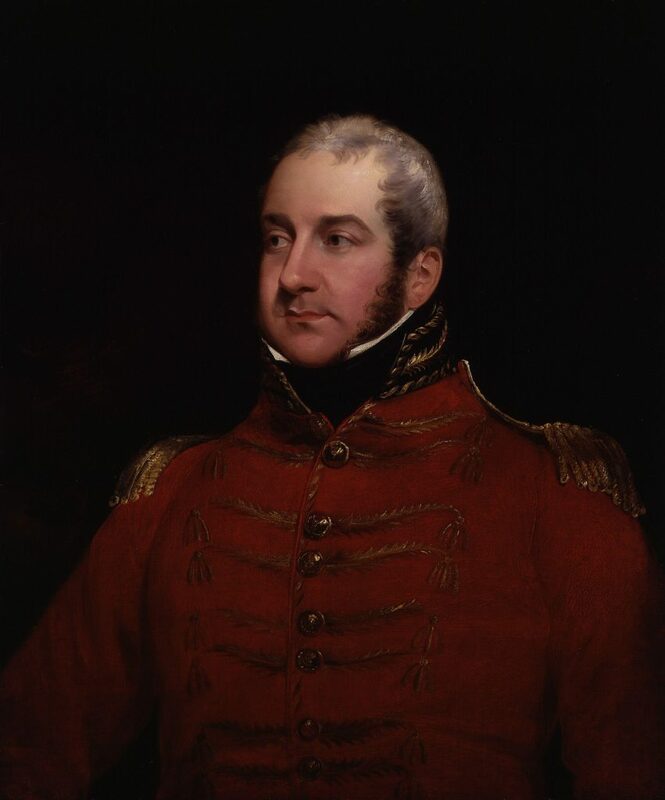 Over 600 of Sir William’s rockets were fired in the British bombardment of Fort McHenry, Maryland, in 1812. 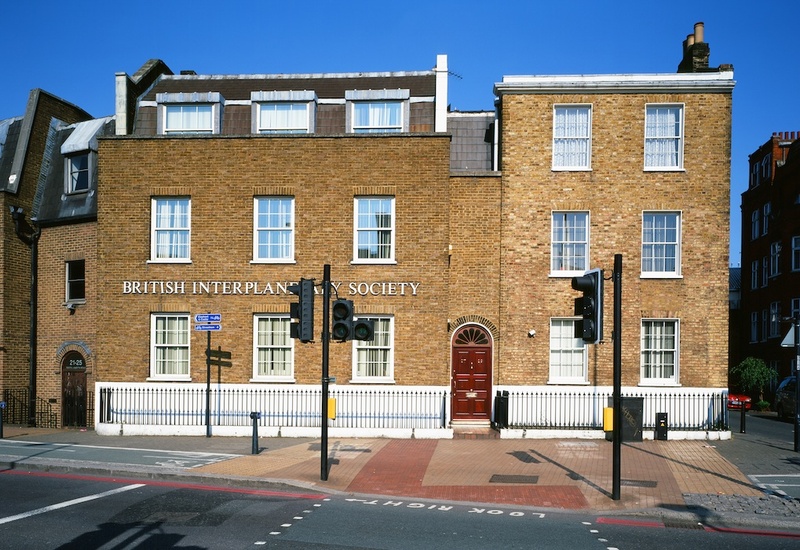 The British Interplanetary Society (BIS) was founded in 1933 and is Britain’s leading think-tank on space development, as well as the main membership organisation for Space enthusiasts. This is the world’s longest-established organisation devoted to promoting the exploration of space and the science of astronautics, pre-dating similar organisations in the USA, Russia and Europe. The BIS motto is “From Imagination to Reality”. A charity, BIS attracts a world-wide membership, which is the main source of income. The long list of space travellers landing at the BIS headquarters at 27-29 South Lambeth Road includes the first British astronaut Helen Sharman, who flew to the Russian Mir space station in 1991. Then there’s Tim Peake, who spent six months at the International Space Station in 2016, and became the first British Spacewalker. Others often seen at BIS HQ here included the BBC TV astronomer Sir Patrick Moore and science fiction author Sir Arthur C. Clarke. The Society was started by a group of space-flight enthusiasts who dreamed of using rocket propulsion to fly to the Moon and the planets. 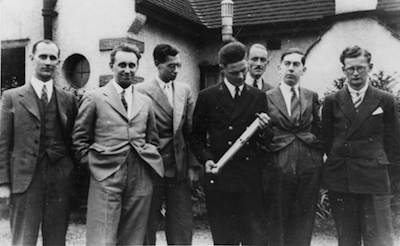 Even before the Second World War, a core of BIS members made the first technical plans for a rocket capable of landing three men on the Moon and then returning them to Earth. 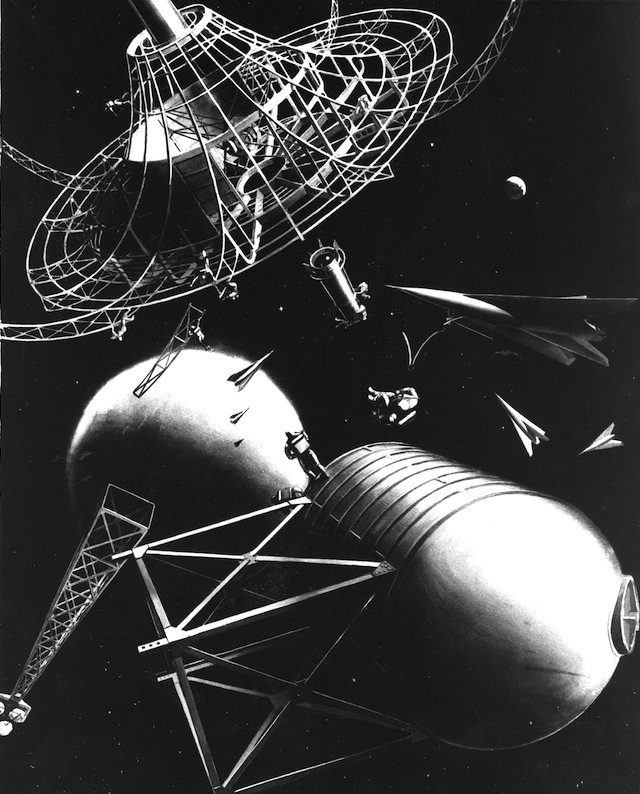 Later, BIS members developed ideas for the exploration of outer space including liquid-fuel rockets, the construction of space stations, human exploration of the Moon, probes to investigate other planets in our Solar System and the use of space telescopes to observe distant stars and galaxies. Communications satellites now orbit the Earth, a concept first outlined by technological visionary Arthur C. Clarke in a private memorandum to Fellows of the BIS before publication in 1945. In 1951 the BIS organised the world’s first International Congress on The Artificial Satellite and became one of the founder-members of the International Astronautical Federation. This was six years before the USSR lofted the first Earth satellite, Sputnik. The BIS is now concerned with how to preserve life on Earth in the face of possible asteroid impact. The prestigious BIS Gold Medal has been awarded to several space pioneers. These include Russian cosmonaut Yuri Gagarin, the first human in space, and Valentina Tereshkova, the first woman to reach orbit. Then there’s the crew of Apollo 11 – Neil Armstrong, Buzz Aldrin and Michael Collins – who made the first lunar landing in 1969. Another recipient of the BIS Gold Medal was Wernher von Braun, who drove the US Moon programme. This award was a rather broad-minded gesture, considering that in Nazi Germany von Braun developed the V-2 rocket-powered flying bombs that hit London in the closing stages of the Second World War. The most devastating V-2 strike of all hit Lambeth Baths in Morton Place, killing 47 people. 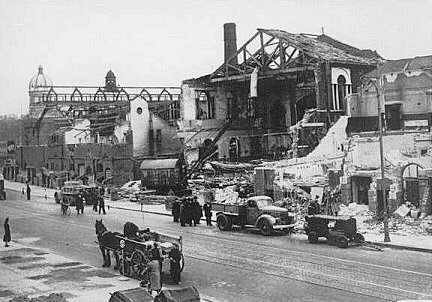 47 people died when Lambeth Baths was hit by a V-2 rocket. Dr MacTaggart’s latest book is the Haynes Astronaut Manual, published by Haynes UK in English and Chinese.